Allianz and StreetScooter now enable business customers to start into electric mobility with greater ease. 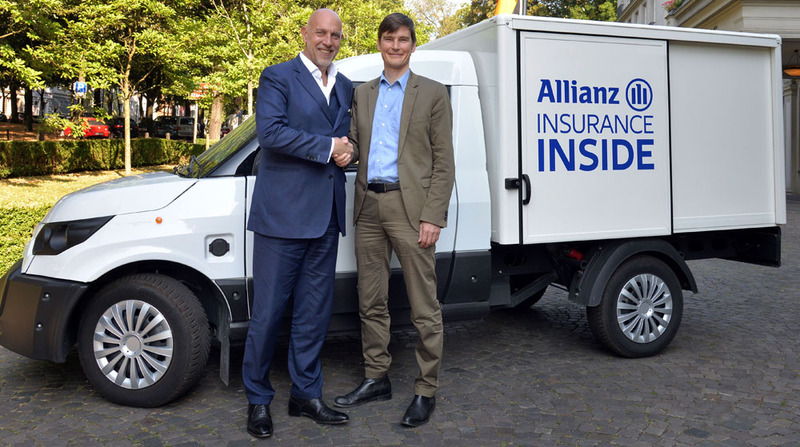 Allianz is offering third-party liability and comprehensive insurance for vehicles from StreetScooter GmbH, a subsidiary of the world’s leading logistics provider Deutsche Post DHL Group. The insurance is provided under the Ford Autoversicherung brand and available at selected Ford dealers throughout Germany that sell StreetScooter vehicles. The insurance is designed to include the modern safety components found in StreetScooter vehicles, as well as their cost-effective repair. The offer supports StreetScooter’s Total Cost of Ownership (TCO) approach, which provides a low total cost of e-mobility so small and medium-sized enterprises can switch to this environmentally-friendly drive technology. An expansion into other markets with further insurance and service solutions is planned. StreetScooter is a versatile, environmentally friendly vehicle designed for a wide range of industries. The E-Transporter was developed in 2011 in a cooperation between Deutsche Post DHL Group and StreetScooter GmbH from Aachen, which became a wholly owned subsidiary of Deutsche Post DHL Group in 2014. More than 6,000 vehicles are already on the road and used to deliver letters and parcels with a total mileage to date of more than 26 million kilometers. StreetScooter is available in a variety of bodies, including as a dumper, delivery van, refrigeration unit or as a pickup. Depending on the model, StreetScooters can achieve a range of up to 200 kilometers with a 900 kilograms payload and hit a maximum speed of 120 km/h.